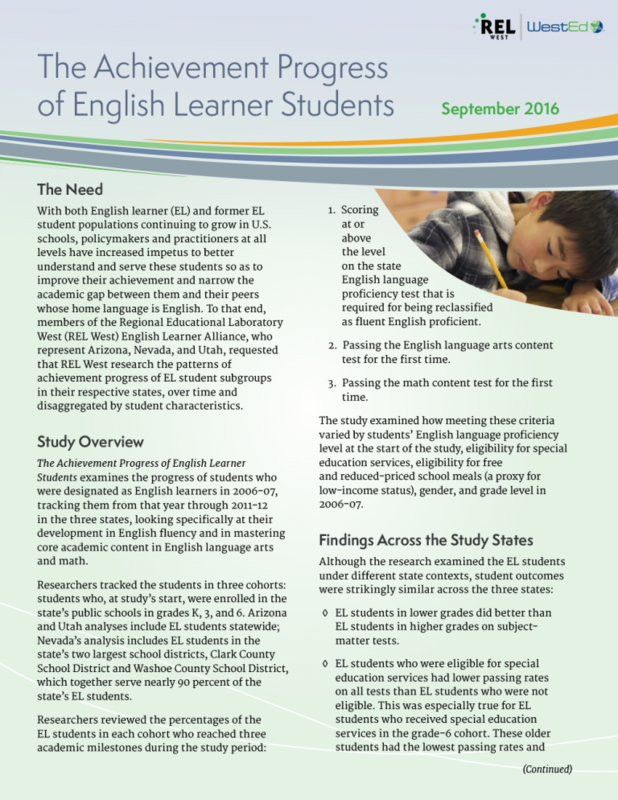 Across the United States, there is concern about how to effectively educate the growing number of English language learner (ELL) students, particularly because they need to learn both English and academic content simultaneously. 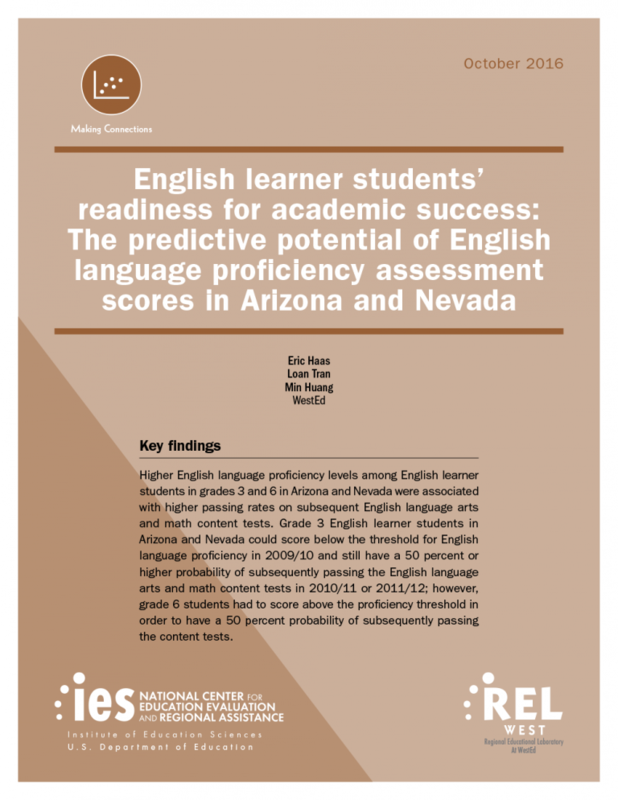 This brief, produced by REL West’s English Learner Alliance, synthesizes three recent studies that found variations in ELL students’ achievement based on students’ demographic and linguistic characteristics. 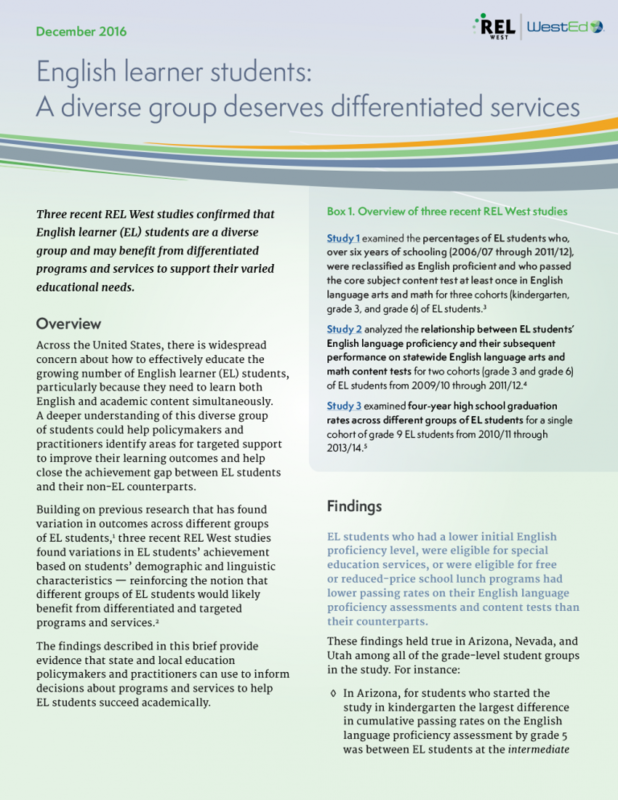 These findings reinforce that the academic outcomes and education needs of ELL students are complex, with variations based on their particular characteristics, such as socioeconomic status, eligibility for special education services, initial English proficiency level, grade level, time of first designation as an ELL student, and time of reclassification as English proficient. When educators and policymakers are making decisions about how to effectively serve the various ELL student groups at the state, district, and school levels, it is important to consider ELL students’ unique needs, disaggregated by these characteristics. 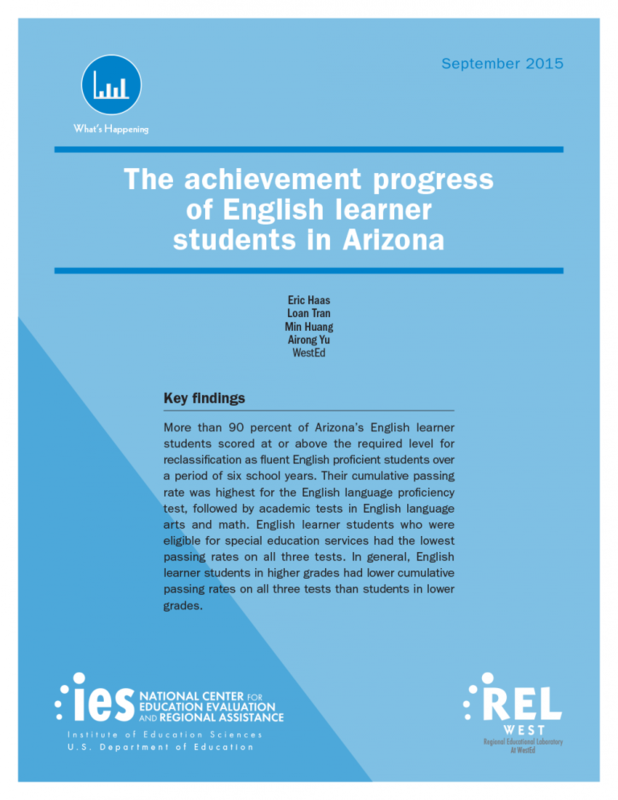 Read a snapshot of the academic progress of English learner students in Arizona from 2006/07 through 2011/12.